Oregon has long been a very marijuana-friendly state, and it was the first to decriminalize cannabis in 1973. On November 3rd, 1998 Oregon legalized medical marijuana. Initiative 91, which passed in the November 2014 election, legalized recreational marijuana for anyone ages 21 and over. The implementation of recreational marijuana use began on July 1st, 2015. SB-460 passed in July 2015, which allows Oregon Medical Dispensaries to make sales to anyone over 21, not just medical patients. Oregon is also one of the only states that allow out of state residents to obtain a medical marijuana card. The sale of marijuana to minors or within 1000 feet of a school is still considered a felony offense. The Oregon Legalized Marijuana Initiative, Measure 91 passed on November 4, 2014! This is the measure that legalized recreational marijuana for people ages 21 and older. Under the law, adults are allowed to possess up to eight ounces of dried marijuana and up to four plants. The Oregon Liquor Control Commission regulates marijuana sales. A notable part of Oregon’s marijuana culture is the artist-driven movement of beautiful handmade glass pipes and bongs. Bob Snodgrass is one of the visionaries that lead the movement, which started during the Grateful Dead Era. To this day, Eugene, Oregon is known as a glass blowing mecca and the city’s art is sold all around the world. Although there are not currently any vapor lounges or “coffee” bars that allow you to light up like you can in Amsterdam, there are a number of businesses in Oregon that fall into the speakeasy category and allow marijuana consumption. You will not find them listed publicly as they are operating in a legal grey area, but they do exist. The best advice we can give to tourists looking to partake in the cannabis culture is discretion. It’s best to keep your marijuana use out of public areas, but if you must smoke out in the open, a discreet vape pen is your best option. If you find yourself in a pinch with the law, check out our Oregon Cannabis Lawyers page for help! Is Marijuana Legal in Oregon? Yes! You only need to be over the age of 21 to make a purchase at Oregon medical dispensaries. Can I get my Medical Card if I am not an Oregon Resident? No, you must have an Oregon issued medical marijuana card. That being said, if you have an Oregon Medical Marijuana Card, dispensaries in Michigan, Maine, Montana, Rhode Island and Arizona will also accept it. Although you cannot buy cannabis at gas stations or liquor stores just yet, you can purchase it at any medical marijuana dispensary across the state or at a state-licensed recreational retail store. Clones: healthy seedlings that are ready to be grown. Marijuana prices in Oregon are currently between $10 and $30 a gram. Under the Medical Possession Law, the Patient Possession limit is twenty-four ounces of usable cannabis (1.5 pounds). For cultivation, medical patients are allowed to possess six (6) mature cannabis plants and 18 immature seedlings. Under the Recreational Possession Law, Initiative 91, Recreational users may purchase up to one ounce (28 grams) of dried usable marijuana. The purchase limit for Extracts and Concentrates is 5 grams of extract for inhalation. For edibles, it is 16 ounces of infused product in edible form or 72 ounces in beverage form. Shops can also sell up to 4 immature plants, and up to 10 cannabis seeds per transaction. Recreational possession limits are the same as the purchasing limits if out in public. The only difference between purchase and possession limits are an adult over the age of 21 can legally possess up to 8oz of dried flower at their residence. The rest of the purchasing limits apply for possession at home as well. It will be up to each shop/dispensary to decide how much they will sell at one time. Can I buy Edible Marijuana Products in Oregon? Yes, you can! It took the Oregon cannabis lawmakers quite a while to allow for the legal sales of edible cannabis products, but as of early June 2016, adults over the age of 21 can legally purchase edible products, so folks from Portland can stop driving over to Vancouver, WA for their edible needs. Go grab a lollipop, because in Oregon, it’s on! How Many Marijuana Plants Can I Grow in Oregon? Oregon state law says that home cultivation is a legal activity, so long as the limit of no more than 4 plants growing per household is exceeded. This makes things difficult if many adults live together, as they cannot go over the 4 plant limit. That being said, all adults over the age of 21 are legally allowed to grow their own cannabis, so why would anyone complain about that! If you’re an adult Oregonian, get out there and put some seeds in the earth! No. 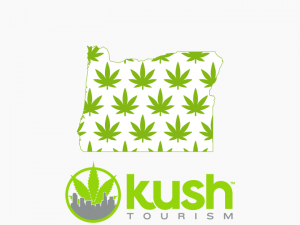 All marijuana and marijuana products purchased in Oregon must be consumed in Oregon. Legally, you can only consume marijuana in private. However, at many events in Oregon, you will see citizens openly consuming in public as a form of civil disobedience. We do not recommend breaking the law, but just walking around downtown Portland you will most likely see someone violating the public consumption law. Dabs are often compared to the hard liquor of the cannabis world and can be found in many forms. Dabs are the essential oils and waxes of the cannabis plant that are extracted and concentrated into a potent wax form. They are known for their high concentration of THC. Smoking a dab is much stronger than smoking flowers. If you are not a regular cannabis consumer with a high tolerance, we recommend using extreme caution. If you’re considering purchasing or doing a dab, it is also important to know what is in the essential oil being offered or sold and if it is safe. Many extracts may not have been purged correctly and may contain residual amounts of butane or other solvents. CO2 oil is often noted as the safest oil because critical extraction machines that use CO2 as the only solvent extract it. Are the topicals going to get me stoned? No, topicals do not have a psychoactive effect. They are used for localized relief of inflammation, pain, or soreness. Do not confuse topicals with transdermal patches though. Patches can and will get you high, and they work similar to a nicotine patch. Am I supporting a bad cause or should I stick to the black market? You’re not supporting a bad cause! Quite the opposite, actually. It is definitely beneficial to buy your cannabis legally, even beyond the legal aspect. The recreational taxes generated go to support important public programs. Forty percent goes to the common school fund; twenty percent to mental health, alcoholism and drug services; fifteen percent to state police; ten percent to the cities in proportion to their population; ten percent to the counties in proportion to their population; and five percent to the Oregon Health Authority for drug and alcohol abuse prevention. When will Marijuana be legal, and when will new Marijuana laws take place in Oregon? SB 460 has sped up implementation of Initiative 91. As of October 1st, 2015 OMMP Licensed Dispensaries will be allowed to sell marijuana to anyone over the age of 21. Recreational Shops are anticipated to open starting in January 2016. Yes. You can always get in trouble at the federal level, but as long as you follow the rules for marijuana in Oregon, state and local authorities will not have any issues with you. If you find yourself in a pinch with the law, check out our Oregon Cannabis Lawyers page for help! Use the forum below for more to post questions, answer others, and learn more! This forum contains 58 topics and 153 replies, and was last updated by Leslievegas 1 year, 2 months ago. How Did Oregon Legalize Marijuana? How Old Do You Have To Be To Buy Marijuana In Oregon? How Do I Buy Oregon Marijuana? 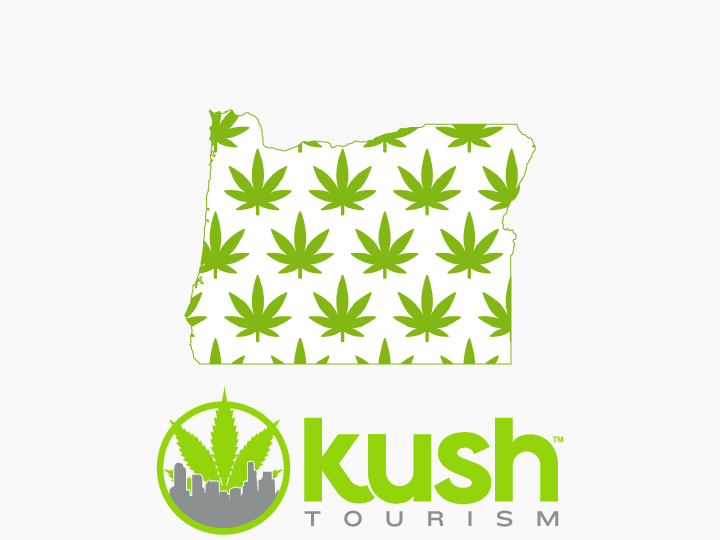 What Are Oregon Marijuana Laws For Tourists? Can I Fly With Marijuana In Oregon? When Did Oregon Make Marijuana Legal?